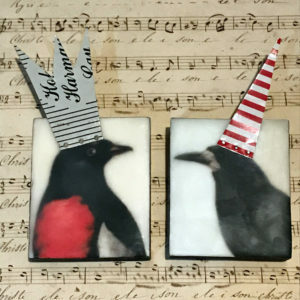 Artists today don’t have to travel to teach classes anymore, they can create online classes from their home and enjoy an additional stream of income. In this bonus episode, I explain what online classes are, where you can find them, and how you can figure out how to host them. Whether you’re taking an online class or creating your own, this business episode is not to be missed. 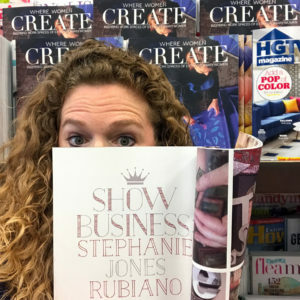 Here are some links to websites that offer online classes, including those from Stephanie Jones Rubiano (this week’s artist episode) and Stephanie Lee (next week’s artist episode). Stephanie Lee also offers an e-book on How to Create an Online Class and you can find it on her website here. If you know of any I can add to this list, give me a link in the comments. 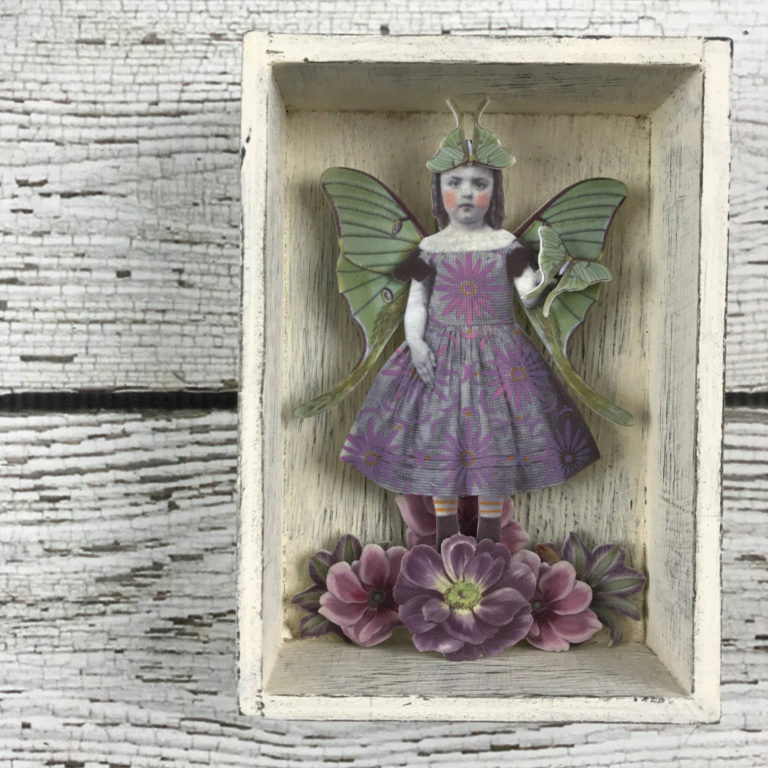 Stephanie Jones Rubiano is a mixed media artist who creates dimensional works within shadow boxes. 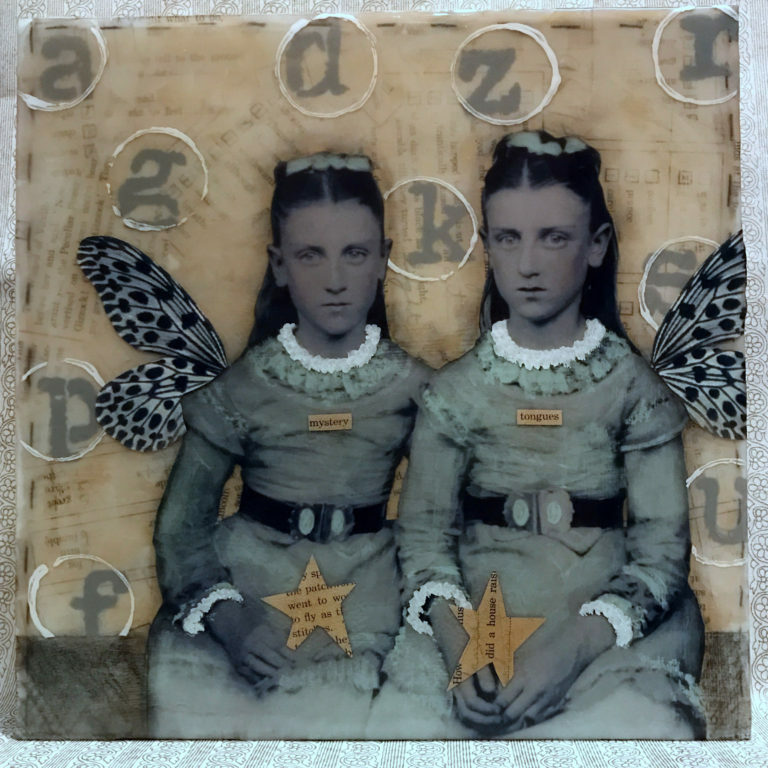 She uses old photographs and documents, as well as real butterfly wings. 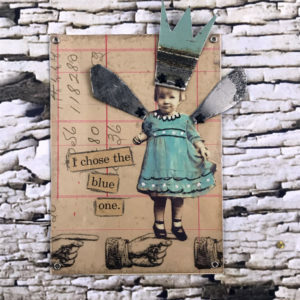 Her assemblage techniques have been developed over many years, and she has taught them in live workshops all over the U.S. In the past two years, she has taught online courses, which enable her to reach students from all over the world. I think you’ll enjoy hearing about how her teaching started, how it has evolved, and she’s learned how to create all the technical aspects of an online class. 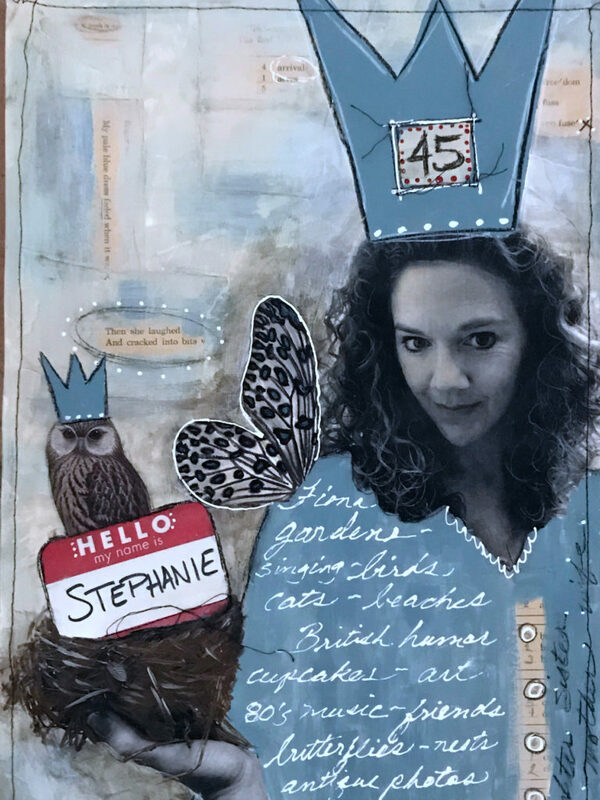 Stephanie has also been published in many art magazines. 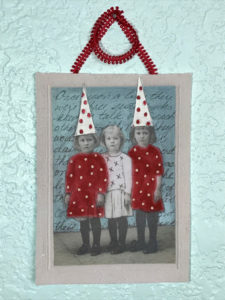 You can find Stephanie’s classes and artwork on her website. She learned how to create an online course through Stephanie Lee’s How to Create and Online Course. She submitted her artwork to Somerset Studio Magazine. 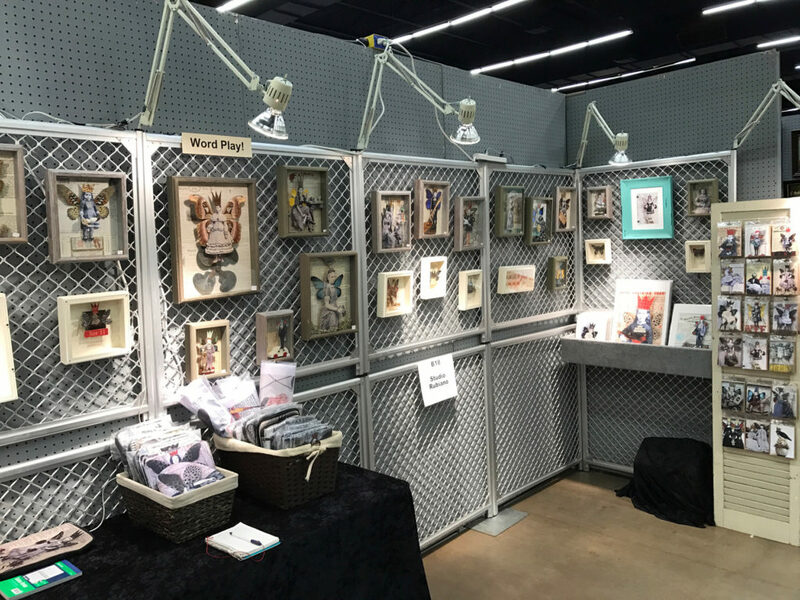 Approach gift stores about carrying your artwork. 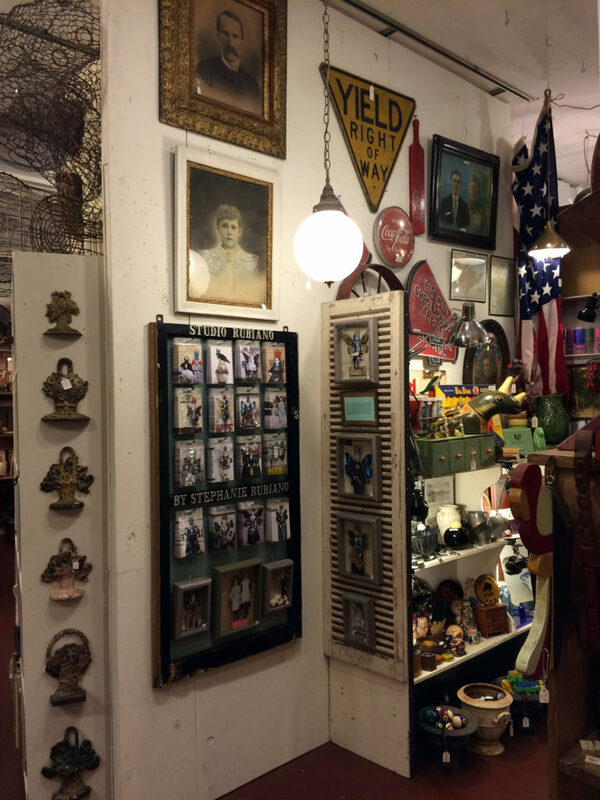 Create a proposal for a class and present that to art stores. 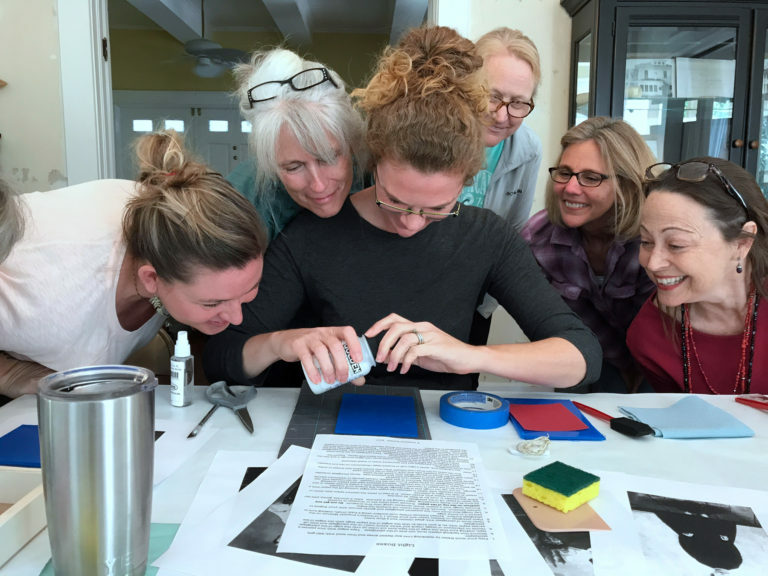 Look into national Art Retreats for teaching opportunities. Search online for specific classes that could help you to develop a workshop or online class. Don’t forget about email marketing and video production classes when learning to create an online class. Utilize other people’s websites to hold some of your online classes for a much broader reach to your audience. Be sure and checkout my next mini business episode where I talk about online classes. You also need to list what didn’t work. Then you need to analyze your administrative tasks, and see if you can streamline them or hire someone to do them for you. For your goal-making, think of something related to your business that you’ve always wanted to do and that will challenge you. Don’t neglect this important aspect of your business. Your business will grow, and it will always stay exciting for you if you try new things. Nicole Galluccio entered college to study biochemistry, with the hope of becoming a doctor. Despite being awarded a scholarship for chemistry, her teacher thought her medical illustration skills were so exceptional that she should pursue art. 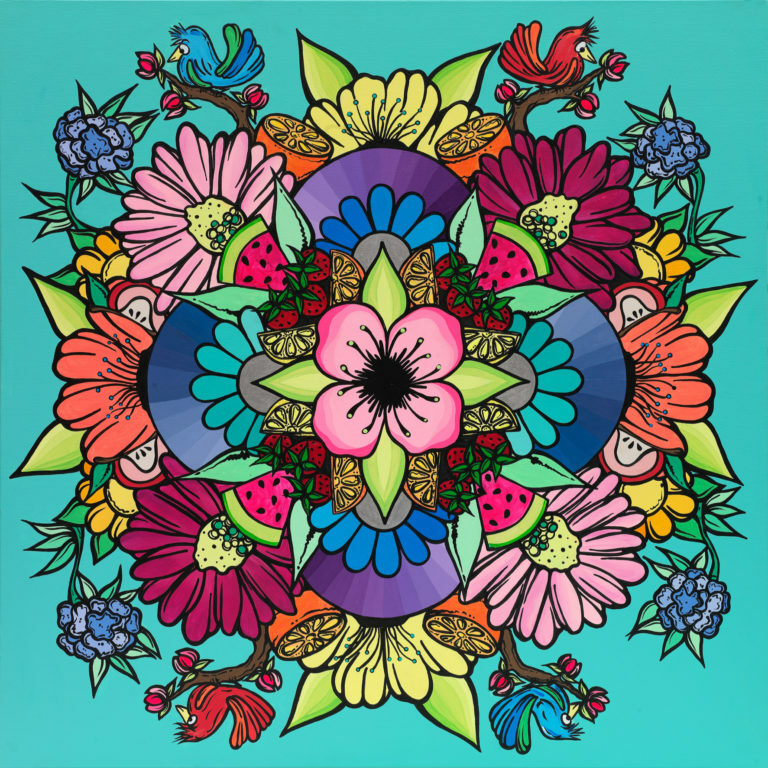 She ultimately received a Bachelor’s in Fine Art, and is now a professional artist. 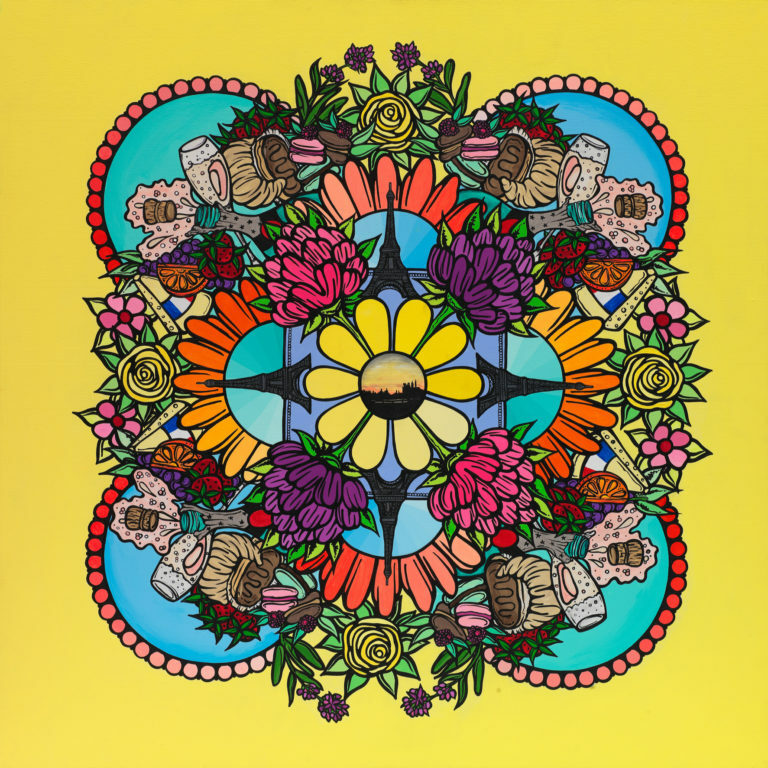 She has developed a unique style of acrylic paintings using dozens of bold colors with a pop art feel, and she pursues every art opportunity that comes her way. 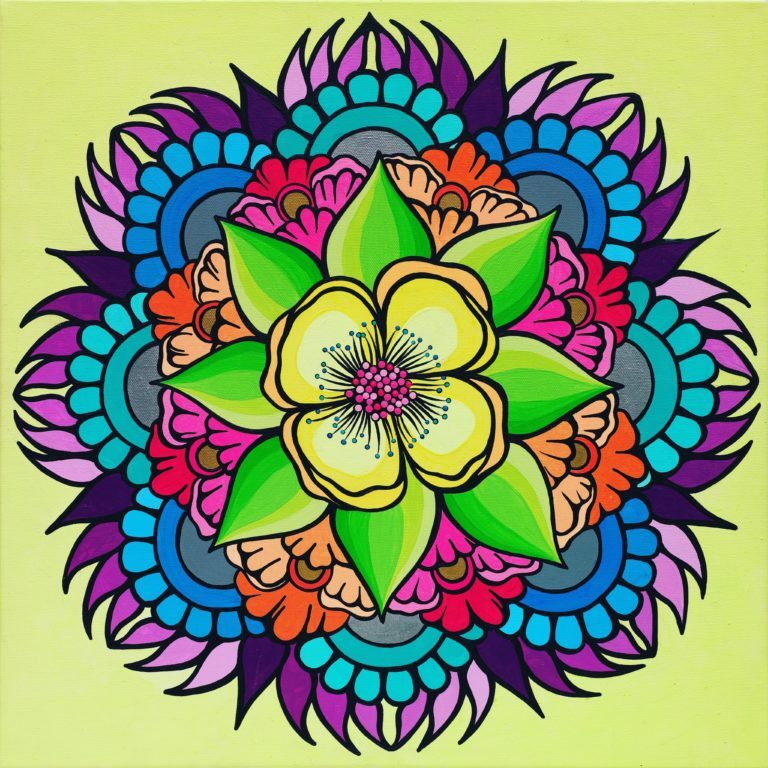 Here are some of her paintings in her mandala series. Here is Nicole Galluccio at her installation that included 50 painted album covers. 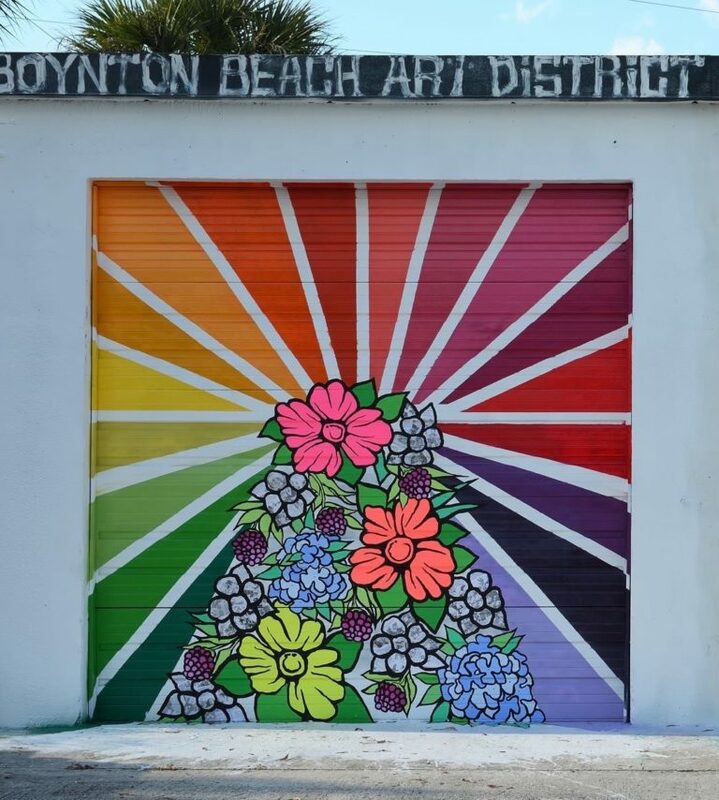 Nicole painted this bay door where she has her studio at the Boynton Beach Art District. 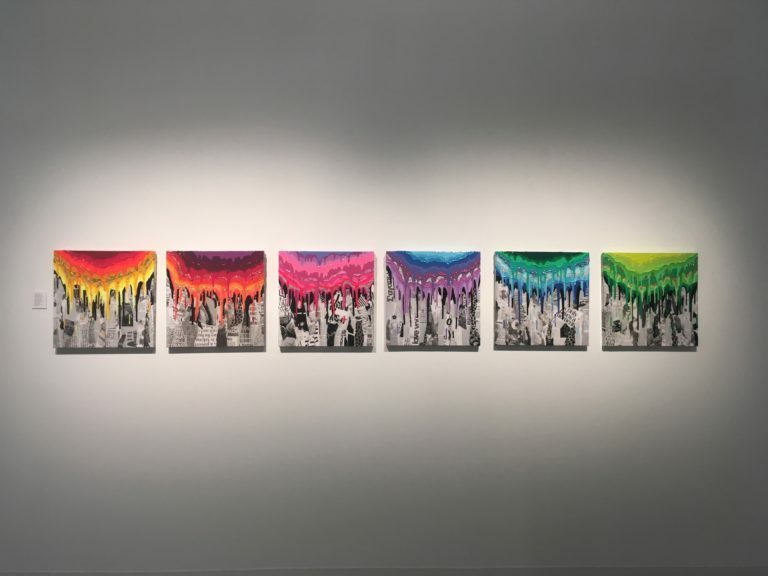 Look for Calls to Artists so that you can apply to shows at galleries, museums, or shops. Seek out live painting opportunities. You will get practice public speaking, gain confidence, and receive feedback from the public. Paint every day; you will get more efficient and get to know your products better. Make your own opportunities by meeting other artists and visiting galleries to see what is out there. Say yes to everything, even if it’s outside of your comfort level. At the end of the year, update your resume and list out what you did last year. 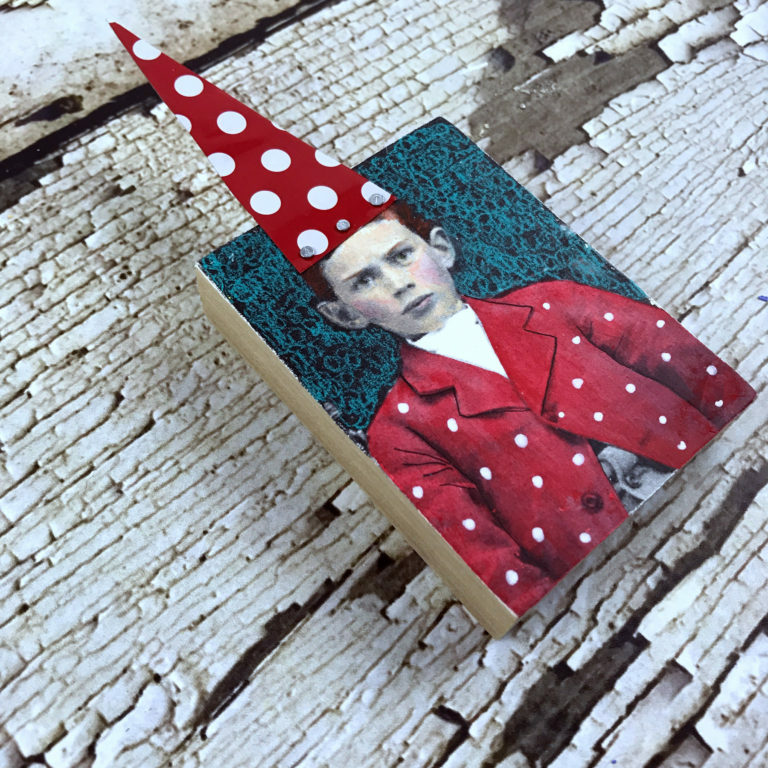 Then take a moment to make goals for the coming year: What art project have you been dying to do? What is something that will challenge you? In my mini business episode that I’ll be posting on Friday, I’ll be talking more about how to update your resume and CV and make plans for the coming year. Be sure to give that a listen.